I recently got my 2018 credit card summary and really wish I still had access to a 2010-2014 summary to compare these categories before/after selling my car. My ‘automotive’ column (between car payments, property taxes, insurance and repairs) used to be my main financial complaint, and I did sell my car before getting my first ‘real adult’ salaried job, so my overall budget is a lot different as well. I apparently bought gas for someone sometime in 2018, or spent money in a gas station. I can tell you, it’s absolutely wonderful to basically be able to cross off ‘automotive’ and ‘gasoline’ from a list of budget categories. I should probably make a separate category for bike spending, as that typically falls into the ‘merchandise’ category. Which is my main focus for 2019: I’ve never been a (successful) minimalist, but this year I’ll be experimenting with a few ideas I’ve been kicking around. Limit non-essential purchases to 19 items (non-essential defined as things I could easily avoid buying without significant impact to day to day life.. usually impulse buys like clothing and home decor). I’m keeping a list, so far I’m at 2 items..
Paring down my commuting gear. “Gear” referenced here includes the random crap that accumulates at the bottom of my pannier that I forgot to take out and end up schlepping around until I can’t find one of my gloves and dump the whole thing out while mumbling profanities. Trying a minimalist setup for a bike tour. I have several trips in mind that could qualify, and I’ll probably start with a shorter trip. On my last few tours I’ve hauled along way more food and gear than I needed to, and now that I’m feeling more comfortable with bike touring I can probably tone down the urge to pack a lifetime supply of oatmeal packets for a week long trip. More zero waste snack options – speaking of food, I want to try some foods and recipes that don’t involve plastic packaging, such as granola bites in a reusable food pouch or a potato hash in an aluminum foil pocket. I enjoy bonk breakers, clif bars, and energy gels, but the plastic packaging irks me to the point that I want to try other options. Here’s to budgeting for more fun and adventure in 2019! 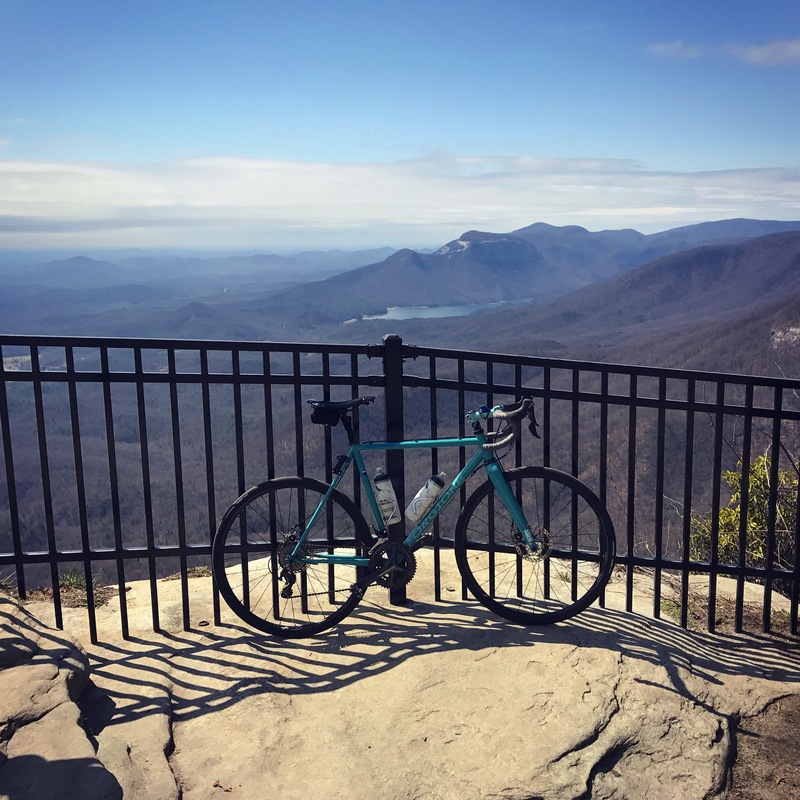 What are your goals, biking or otherwise? Last week I flew into MSP with a boxed up bike and a vague idea of what I was doing. 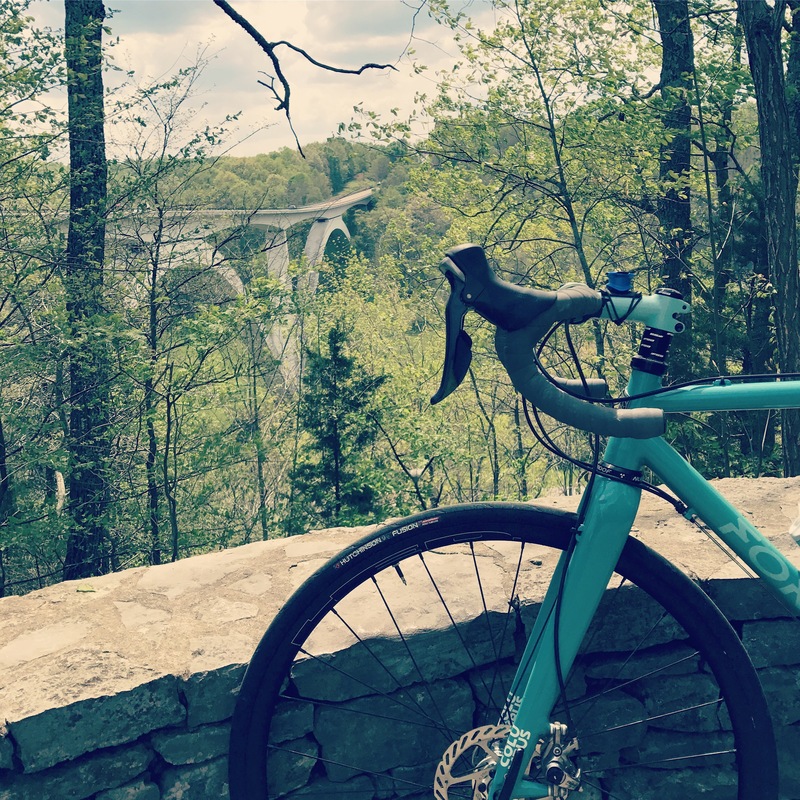 I’ve ridden almost all the way across Wisconsin as of posting this today, and tomorrow I’ll start camping in Michigan’s Upper Peninsula as I follow Adventure Cycling’s Northern Lakes route. Let me back up. I was supposed to do the Erie Canal with my dad this summer, but family obligations came up and we had to put that trip on the back burner for the time being. As I had just gotten all this new camping equipment for my birthday, I wasn’t about to pop the tent in the backyard for a staycation. Summer break was stretching out before me and I had to quickly find another trip before I fell into the trap of never ending house projects (which are rewarding, but not the same as a bike trip). I opted for a solo trek on the ACA North Lakes route instead since it offered cool weather, scenic country roads and the chance to see some people along the way that I owed a visit to, including family nearby that I could call in the event of some dire emergency. So on Wednesday, I landed in the MSP airport and quickly discovered that Minneapolis is basically Disney world for people who like bikes. And 70 degree weather in the middle of June (coming from South Carolina, this feels like nothing short of a miracle). And while the North Lakes route and the incredible time I’ve had since heading out on Friday will be a story to tell, the twin cities deserve their own post as well. I flew from Greenville to Minneapolis on Southwest, and opted to check the bike in a box for $75 so I could ride it straight out of the airport. It would have been comparable or more to ship it to a bike shop, Uber there, and pay for a build. While packing the bike at my local shop the day before took awhile (using no stand and a couple of tools I could bring to make sure I could reassemble it in the airport the next day), assembling at the airport was actually much easier than I anticipated. For my bike to fit in a 62″ long box, I had to remove the front wheel and fender, seat post, pedals and handlebars. The front rack was small enough to leave on and it fit perfectly in the box lengthwise. My shop gave me packing materials including hub caps for the front wheel, and the bike arrived safely in MSP with no issues. I packed some soft items in with the bike, including my sleeping bag and helmet, but my panniers and tent I dropped into a duffel bag (actually a folding bike bag, non padded) and checked that for free, taking only the necessities in a foldup shopping bag as my carryon. I brought a prepared plastic mailer with a preprinted postage label for the folded duffel bag so I could drop it and any small extras into the mail to send to a friend near Detroit, where I’ll be flying out of in a couple of weeks. I also mailed myself some casual clothes and makeup for the end of my trip when I’ll be visiting friends and family, so that I could just bring along the supplies I needed while riding through Wisconsin and Michigan. Don’t be fooled by those Stamps.com podcast ads – if you have a PayPal account, printing USPS postage labels is easy and cheap. The bike build took about 30 minutes, and repacking my panniers probably took just as long. An airport attendant came up and waited patiently for me to finish building and then offered to take the box away, which was a wonderful surprise because I had woken up in the middle of the night a few days before the trip wondering what one is supposed to do with the large empty box and packaging (pull it around with a fully loaded bike, looking for a dumpster? wait for it to get impounded?). The whole process couldn’t have been easier. Using google maps as a reference, I rolled right out of the airport from the terminal loop to East 70th Street. Very shortly, I was in Fort Snelling State Park and enjoying verdant trails in 75 degree weather. I took a couple of trails that paralleled highways to get over to a very fancy REI near the Mall of America where I could buy stove fuel, since I couldn’t bring it on the plane. The trails weren’t particularly scenic, but very functional and comfortable. After I had run that errand and dropped off my bags off at my host’s house around 3pm, I ventured out to explore the city. 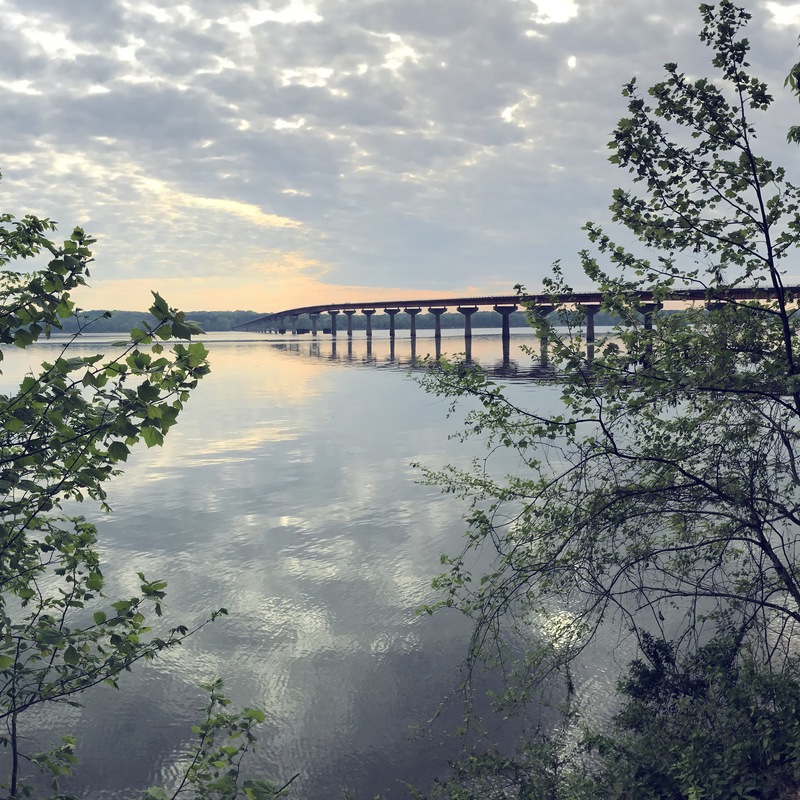 There are many Warm Showers hosts in Minneapolis and I highly recommend checking out that network if you’re interested in bike touring, for reasons I’ll delve into in another post. The trails in Minneapolis are mostly paved but this boardwalk section in the Flour Gold area was a neat feature. I just had time for a loop up the riverside trail and down Minnehaha Avenue before dinner, so I was glad I had allowed an extra day for city exploring. Minnehaha falls is a lovely park and was my first stop the next morning on my Minneapolis loop. The sculpture garden was a nice stop in between marveling over the many bike highways in town. Seriously, there were so many trails I’ve already decided to come back for another visit. I took a ton of pictures to try to capture the magnificence of the infrastructure, but I failed. Where there weren’t separated trails (which seemed like everywhere), there is a minimum of a painted bike lane. It was at once inspiring and also somewhat demoralizing to see how far my hometown has yet to go to come anywhere near this level of infrastructure. 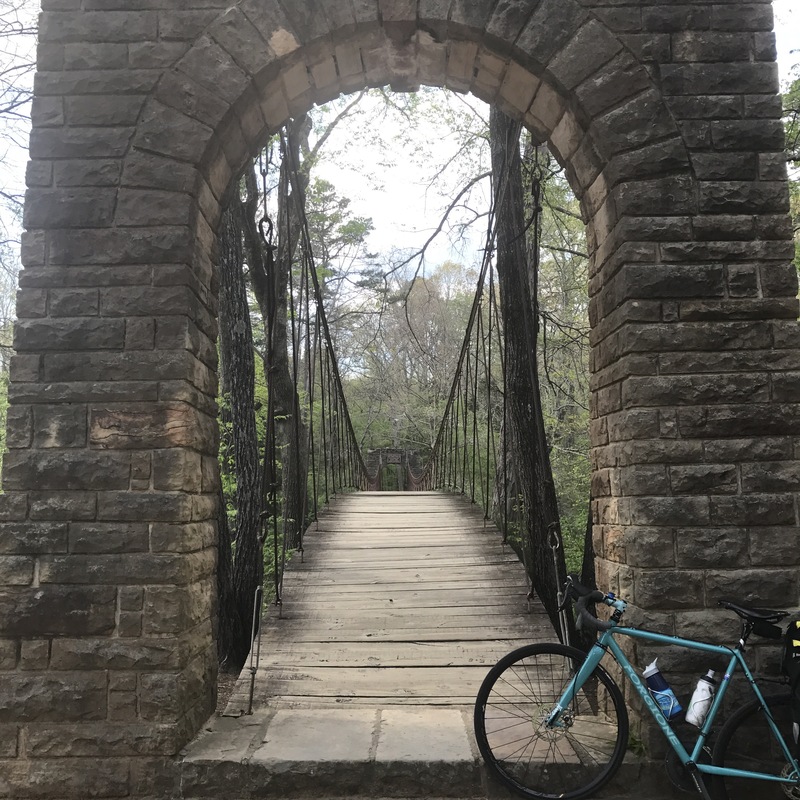 I retrieved my bags and crossed over the bridge to St Paul that afternoon to visit family friends for the night before heading out on my first real day of riding early the next morning. 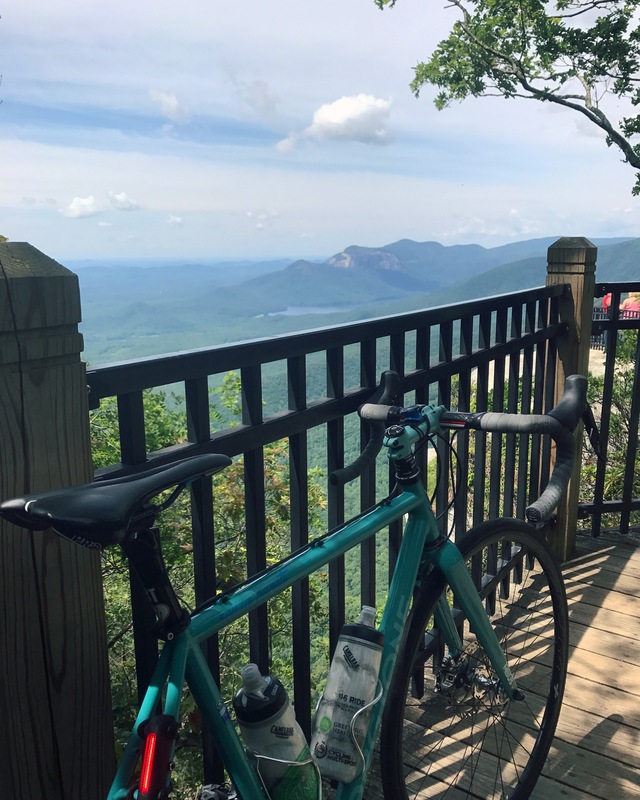 All together, I rode 100 miles in 1.5 days of exploring the city.. a pretty good illustration of what infrastructure can do for tourism and public health. That’s where I’ll leave off for now, because I’m still processing how much I love the Midwest so far and deeply reconsidering my aversion to cold winter weather. I didn’t stop to edit pictures or get every detail in because I didn’t want to put off posting until I didn’t post at all. Kind of like this trip in a way.. I didn’t wait until I had a fully formed plan, I just bought gear and plane tickets and jumped in. I guess if theres one thing I’ve learned in my 20s, it’s deciding to go with the flow and maintain a mantra of “Day One” instead of “one day”. Here’s to many more random adventures along the way. School is back in session as of this Tuesday(!) and in all the excitement, I had failed to make plans for the eclipse. Thankfully, I was hosting a warm showers guest this weekend who came to Greenville especially for the eclipse, and he helped me decide to ride about 30 miles to gain an extra 30 seconds of totality viewing, on the exact totality center line near Central, SC. I’m so glad that I did! It was a dam good ride. Even in 90+ degrees and long rolling hills, the promise of getting to the center line of totality kept me motivated. I stopped several times along the way to peek at the disappearing sun through my glasses. It was fun to see everyone doing the same on the side of the road as I went through the countryside. I arrived in Central and found Stephen (my warm showers guest) with just over 20 minutes to spare before totality. The light was noticeably different and shadows had a strange sharpened/blurry quality to them. Through the shadow of a nearby tree, the crescent slivers were visible in the minutes before totality hit. And then it was 2:38! The temperature dropped, the sky darkened, Venus came out, the clouds stayed out of our way, it was simply incredible… and iphone pictures do absolutely zero justice to the whole thing. I did a weird laugh-cry the whole time and ruined any video we took. We got photos just afterward as the sun was coming back out and we were still dazed and lightheaded. Did I mention Stephen came down from NYC and rode around 75 miles on Monday on a folding bike? Major kudos to this guy. We were worried about the traffic on the way home, but it wasn’t too bad (though noticeably heavier than it typically would be). I was glad to have my Abus helmet with integrated light in addition to my regular rear light for some extra visibility on the road. 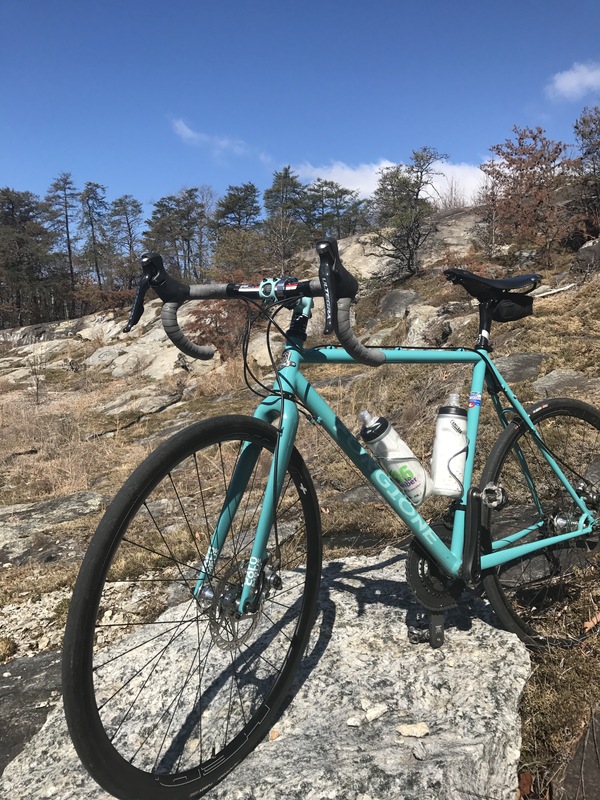 I had planned to ride the Forgione for this trip, but since I left from work at noon and was in a rush in the morning, I rode out on my Bianchi commuter instead. Lesson learned once again: the night before, pump your tires, fill your bottles, charge your lights, lay out whatever clothes/accessories you need.. you’ll be ready to roll in the morning with no problem. I haven’t really mentioned the fact that I bought a custom built steel frame road bike earlier this year. Probably because I’ve been busy riding it. It was a long time coming, as I bought the groupset for a steal online last summer. Then pondered what kind of frame I wanted and where I would buy it. 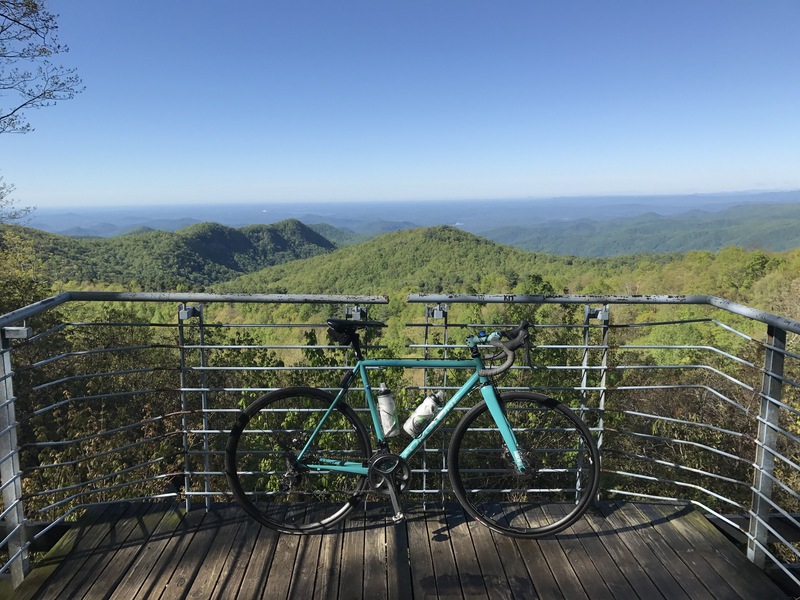 I wanted a road bike that would replace my 27 lb touring bike with something lighter, while still being durable and hardy enough for long distance riding and tours. And of course, I wanted something pretty. So a friend mentioned that there was a small outfit in Italy that did custom steel frames with Columbus Spirit Tubing, and I decided to give it a shot. It’s an expensive gamble to do something like this online and across the ocean more or less on a whim, but when you don’t spend $9k a year on a car, you do have these luxuries. Vincenzo did a beautiful job, and there were more details and options than I could have imagined. 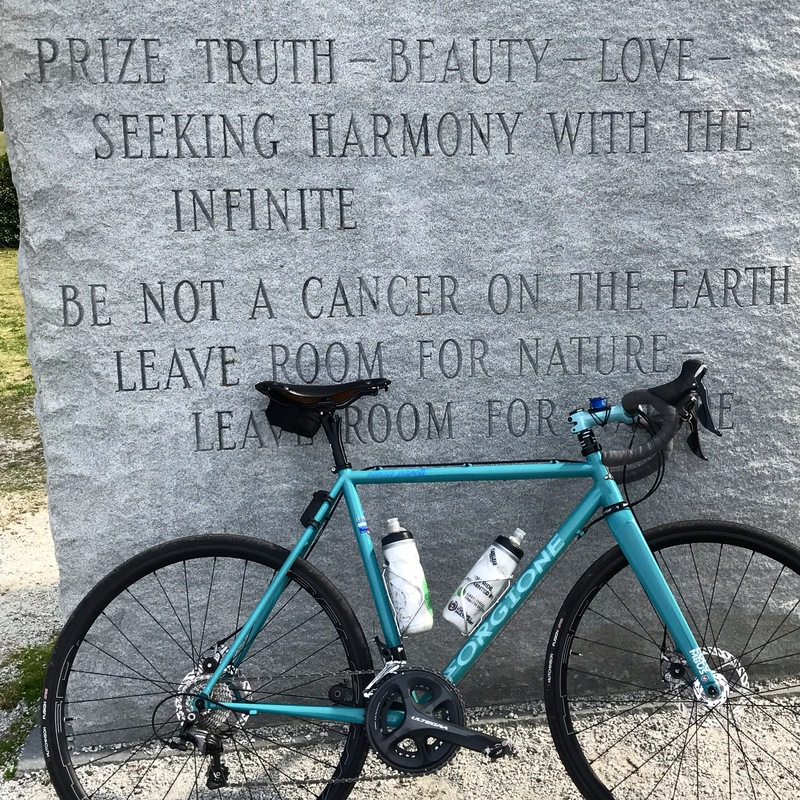 From the tapered head tube to the exact RA# paint colors to the placement of the cables, it was a treat to get to select each aspect of the bike. One of my favorite details to select was the writing on the top tube. 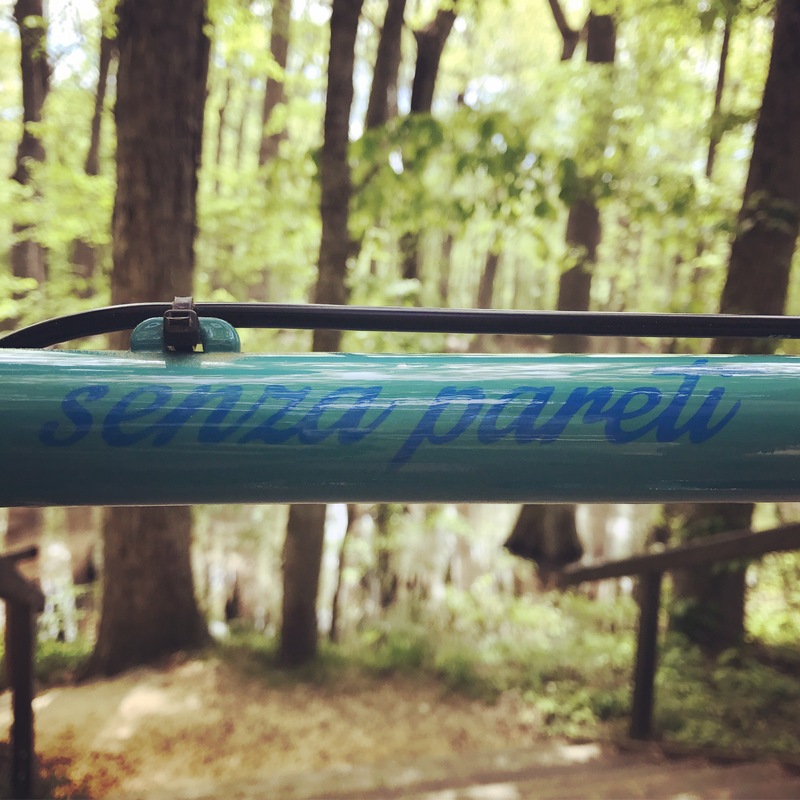 I selected “senza pareti”, which is Italian for “without walls”, after a particularly zen morning commute where I realized that I felt particularly connected and at one with the environment when on my bike, surrounded by cars where people are walled in and cut off from the world, stuck to the confines of doors and windows while on the open road. The custom build process also forced me to learn more about bike mechanics and look up the pros/cons of each aspect of the bike. Most of my choices were focused on weight or aesthetics, but I did go with disc brakes because I’m a control freak about descending. Maybe about a few other things as well. The finished built bike (with 11-speed Ultegra, mechanical disc brakes, some carbon fiber pieces like bars and seatpost, and Chris King wheels) weighs in around 20 lbs. If you’re in Greenville, Carlo at Velo Valets is your guy for custom builds! I changed out my beloved Selle Anatomica saddle for weight, but I’ll probably try one of their new lighter models before too long. We’ve already explored roads and trails in 6 states and covered over 1,000 miles, and we’re just getting started! Once again, I did a bike tour and then took forever to post pictures and details (sorry Don!). 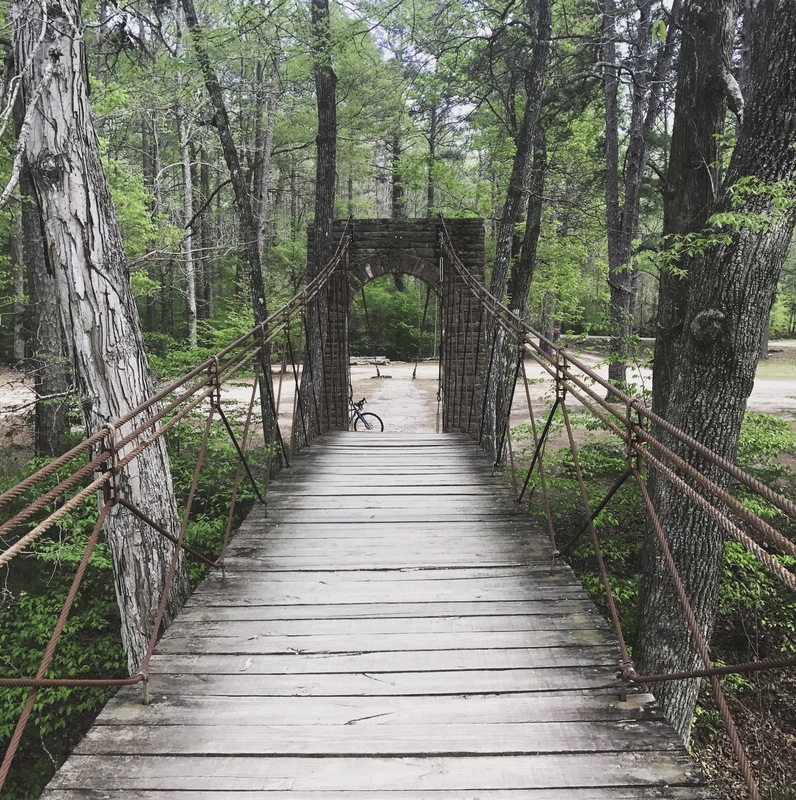 I squeezed in an 8 day bike trip over my spring break this April and had to hit the ground running once school got back into session (IEP season, for anyone familiar with special education!). 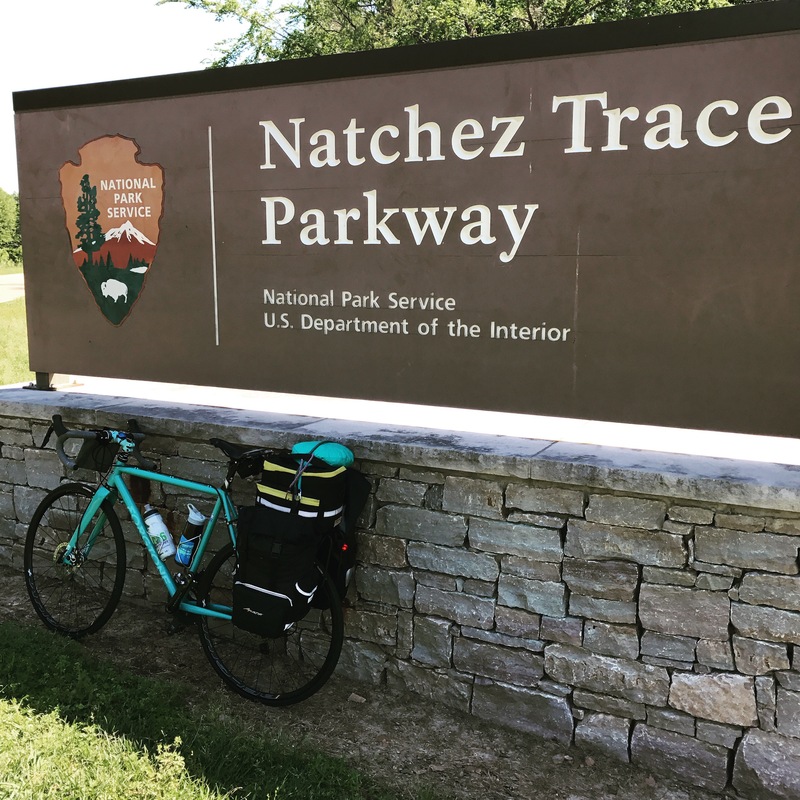 The Natchez Trace is one of two National Parks in the US known as parkways, that runs 444 miles from Natchez, Mississippi to just south of Nashville, Tennessee. 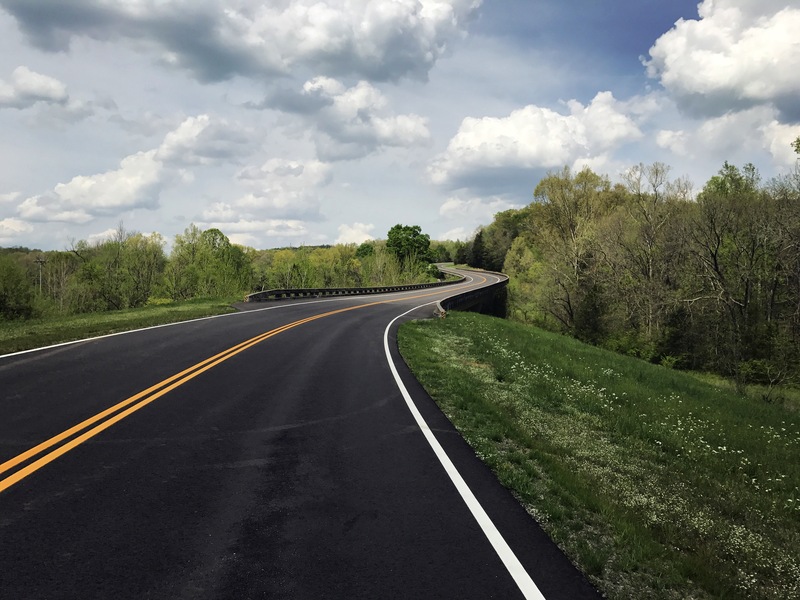 The two-lane parkway roughly follows the Old Natchez Trace, a north-south corridor packed with history, from prehistoric geology and animal migrations to Native American cultural sites to war of 1812 and Civil War battle history; Elvis and Oprah were also born in towns along the Trace. Many people opt to drive the length of the trace; compared to biking it that seems absolutely miserable to me. There are ample camping spots to hang a hammock, interesting historical and informational markers about every 5-10 miles, long stretches where you hardly see any cars, butterflies and wildflowers to keep you company, and an oxygen chamber of trees to keep you pedaling asthma free (which sadly can’t be said for my commute back home). 1. Ask your dad to do the ride with you, because your friends all have children or normal jobs, and your friendships will only survive up to 48 hours around each other with no shower, but family is forever. 2. Plan your route, or at least request/download maps from this website, and then have your dad plan the route because if he figures out the mileage per day, he can’t blame you when his legs hurt by dinnertime. 3. (optional) Laminate the long and pretty awesome park map that comes in your information packet, because you’ll be looking at it every 5 miles to remember which historical marker is next (there are so many). 4. 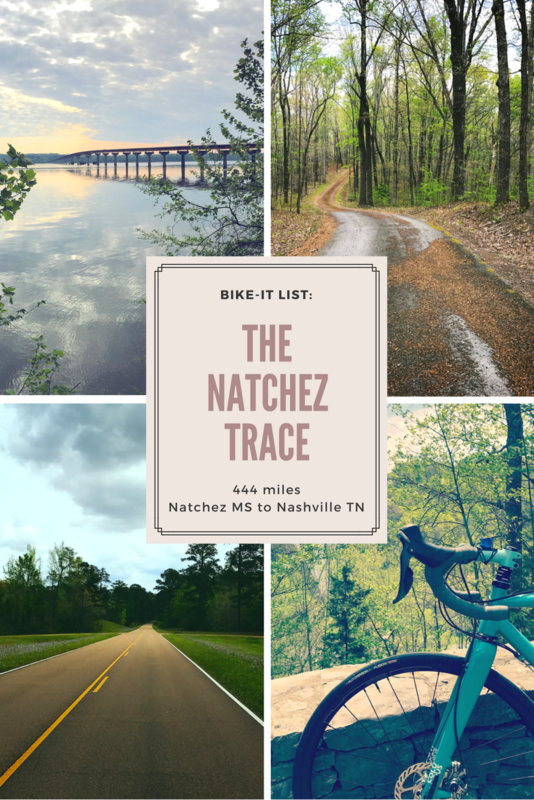 Figure out if you’re going North to South or vice versa, then change your mind fifteen times as you sort through the logistics of getting to/from Natchez/Nashville. We finally settled on a one way rental car from Greenville to Natchez and having a very wonderful person drive from Greenville to Nashville to pick us up. This put us going from mile 0 to mile 444, with lots of scenic vistas and rolling hills the last few days. In shoulder seasons you have more RV migration traffic, but there’s no way I’d do this in the summer (in April, our highs were around 90 every day). 5. Make sure you have road bikes, panniers, camping supplies, and comfy saddles. We brought our eno hammocks because we had them already; I had an eno rain tarp which we used the one night of our trip that it rained very lightly (we really lucked out on weather); the first two nights it was cold enough to skip the bug net but after that the lows were around 50-55 and I needed mine (mosquitos love me). Other camping items on our packing list were a compression sack sleeping bags, inflatable sleeping pads for insulation, a couple changes of clothes (washed clothes most nights), bike repair items, bandanas, stove, fuel, mess kit, and a ton of food. All of this fit into 2 waterproof ortlieb panniers and 2 water resistant axiom panniers, as well as 2 trunk bags on rear racks of our bikes. Front panniers help distribute the weight better, but we didn’t bother with front racks so we made just the rear racks work. I never weighed our equipment but if I had to guess, we were probably around 45-50 lbs of baggage per bike. 6. Make sure you’re comfortable putting in a lot of miles per day, and practice setting up camp; we averaged around 55-60 miles per day with some shorter and some longer days (shortest was 36, longest was 74). It’s possible to go inn to inn, but you’ll have to go off the trace to find lodging. 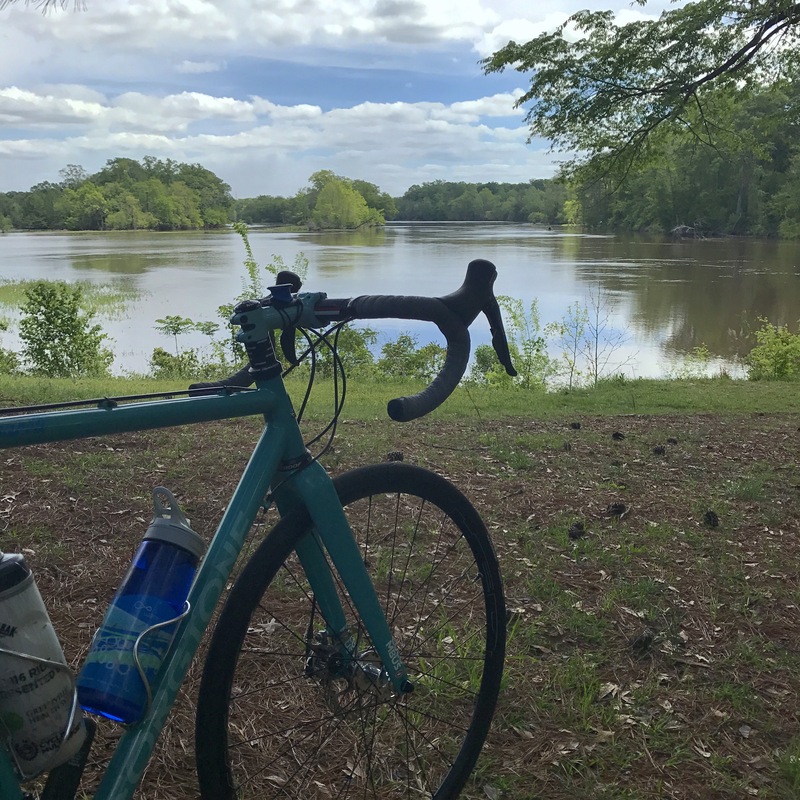 Camping is easy and accessible (we stayed at Rocky Springs the night before we dropped off the car and after the first day of riding from Natchez, Jackson (hotel), Kosciusko, Witch Dance, Tupelo (hotel), Colbert Ferry, and Meriwether Lewis. All the campsites had restrooms with running water, grill areas and picnic tables. 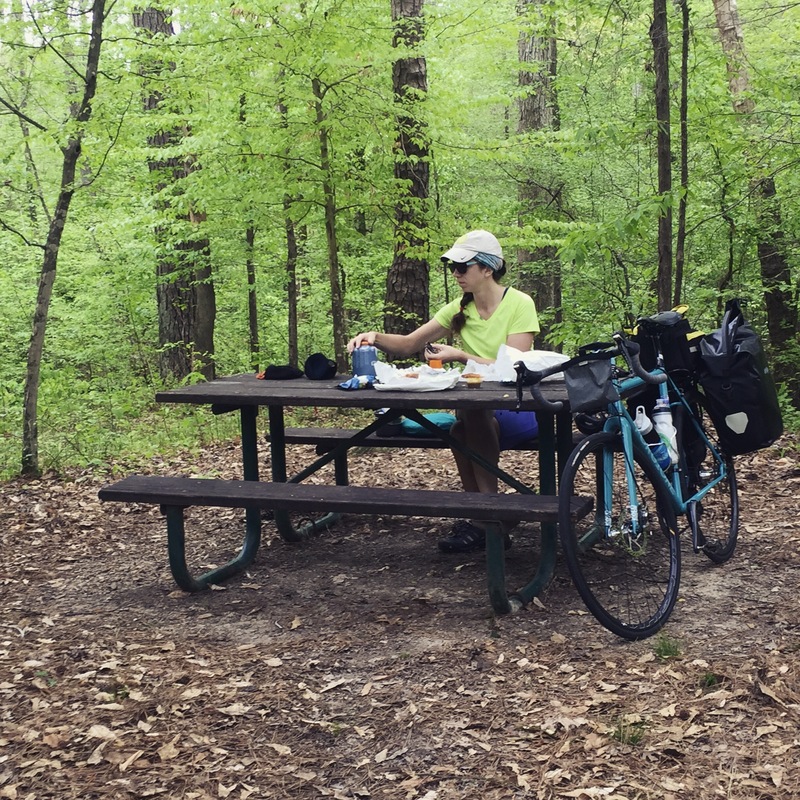 Unlike when driving an RV or car, we didn’t have to worry too much about finding an official spot with a parking space – as long as it had a picnic table and was reasonably close to the facilities, we just wheeled our bikes over and set up camp. Several campsites we had all to ourselves anyway, since there are a number that don’t have RV facilities and are intended to be biker/hiker sites. 7. After you ride, keeping making your bike-it list, but also make a plan. Don’t say someday. Go forth and ride! So back in July I rode from Pittsburgh to DC over 6 days with my dad. I’ve been meaning to post about the trip but it’s pretty daunting to try and cover all of the details we collected over our journey. But it’s almost November, so clearly I need to just get over the fact that this post isn’t going to be the perfect tell-all guide to the GAP/C&O that I had envisioned. But if it inspires some bike travel, I’ll be satisfied with that. I took approximately one billion pictures, but in order to not break the internet I’ll just post some highlights here. I’ve done a number of charity rides since I started road biking last year, but the 2016 Ride to Remember was definitely a highlight of my experiences thus far. 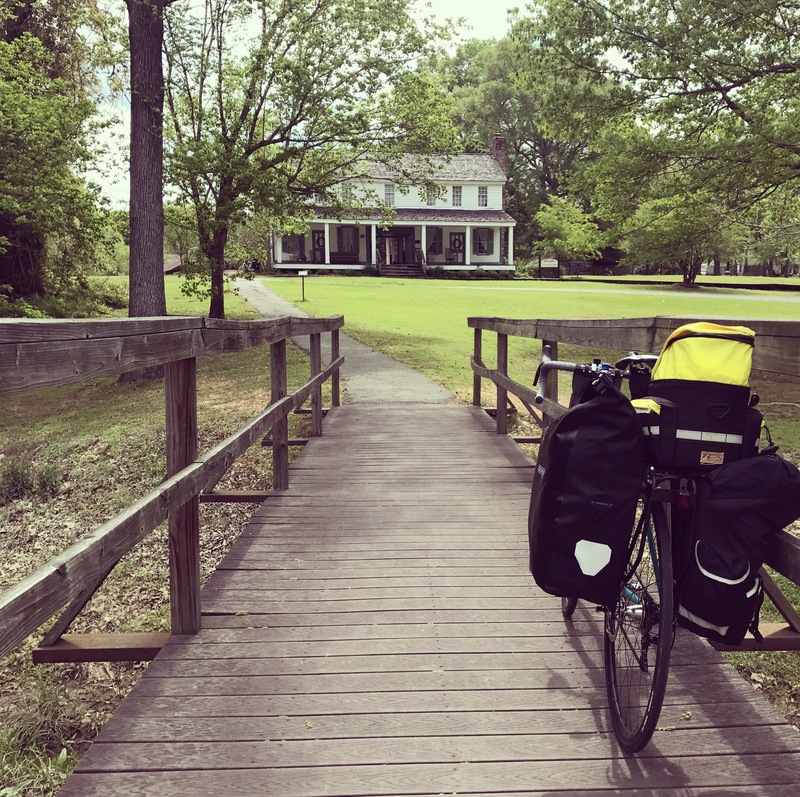 We started out from Simpsonville, South Carolina on Friday morning with beautiful sunny weather and completed 66 miles to Newberry College by about midday. Thankfully on day 2, Newberry to Orangeburg, we were blessed with cloud cover for almost all 90 miles. I wasn’t on an organized team but a lot of solo riders who averaged about 17 mph or so grouped up and we managed to stay together for most of days 2 and 3. Overall the route was net downhill, so the main challenge is staying hydrated and reasonably comfortable for the longer mileages. On day 3, we were again blessed with cloud cover until the last 20 miles crossing Charleston, when those clouds finally let loose a pretty epic thunderstorm. We crossed the West Ashley bridge as lightning hit the water, dodged flooded areas of downtown, and stopped for a quick picture on the Ravenel before finishing our journey at Patriot’s Point. The USS Yorktown is barely visible behind me in the picture above, but I promise, it’s there. What I can’t really capture in pictures is the incredible feelings of camaraderie and encouragement, and the friendships formed in these 3 days. Most other charity group rides I’ve done feel team-centered or competitive, but this ride is really something special. 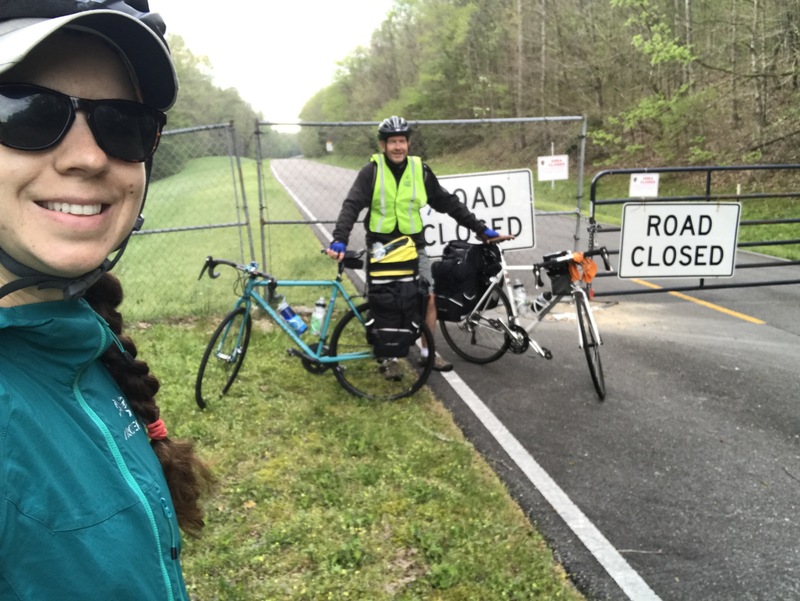 I’ve never felt so supported on a ride, from the nearly 100 volunteers making sure everything ran as smoothly as possible to the other rides sharing supplies, advice and words of encouragement along the way. Tired as I was by Sunday, I didn’t want the weekend to come to an end. I would do this ride again in a heartbeat, as long as I’m in the country next year. If my travel plans allow it, you’ll see me at it once again for the 10th anniversary of the ride next year. We raised over $400,000 this year for the Alzheimer’s Association (the annual goal this year was $330,000), so I can’t wait to see what this ride will grow into in years to come.